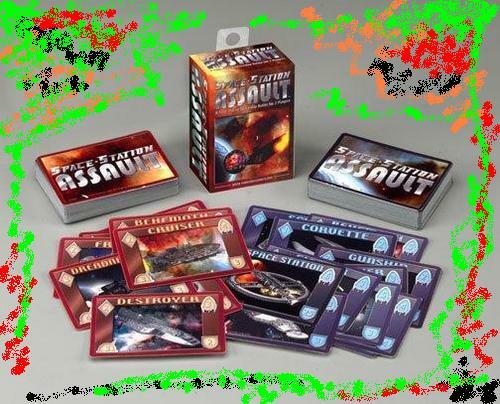 In space station assault two fleet commanders seek victory by destroying the enemy space station or a large number of enemy ships. 110 cards featuring beautiful art. Even though this game is short, it offers enough strategic options into its 15-25 minutes to keep you engaged even after repeated plays. Simple yes: Defend your space station while trying to destroy your opponent's. Along the way, collect Victory Points for opponents ships that you destroyed. Easy yes: maneuver your ships in for the kill while protecting your own. Fun yes: After a few games, it has some replay value ;-). Enough tactical decisions to make for a variety of results.